MuttNation Foundation and Miranda Lambert Present their 8th Annual Cause for the Paws 2015: Back to Basics in Luckenbach, Texas THIS WEEKEND, September 18th & 19th. Having raised $2.1 million since the inception of the Foundation, Miranda continues her tireless support of helping animals in need. The main event Saturday night will feature acoustic performances by chart topping and award winning singer-songwriters as well food, drinks, a silent auction, and more. A limited number of VIP packages are available for an exclusive two day experience. All proceeds from Cause for the Paws benefit MuttNation Foundation to help end animal cruelty, neglect, and homelessness throughout the U.S. The 2 day event will include acoustic performances from Lambert and other award-winning singer-songwriters, a silent auction, food and more. 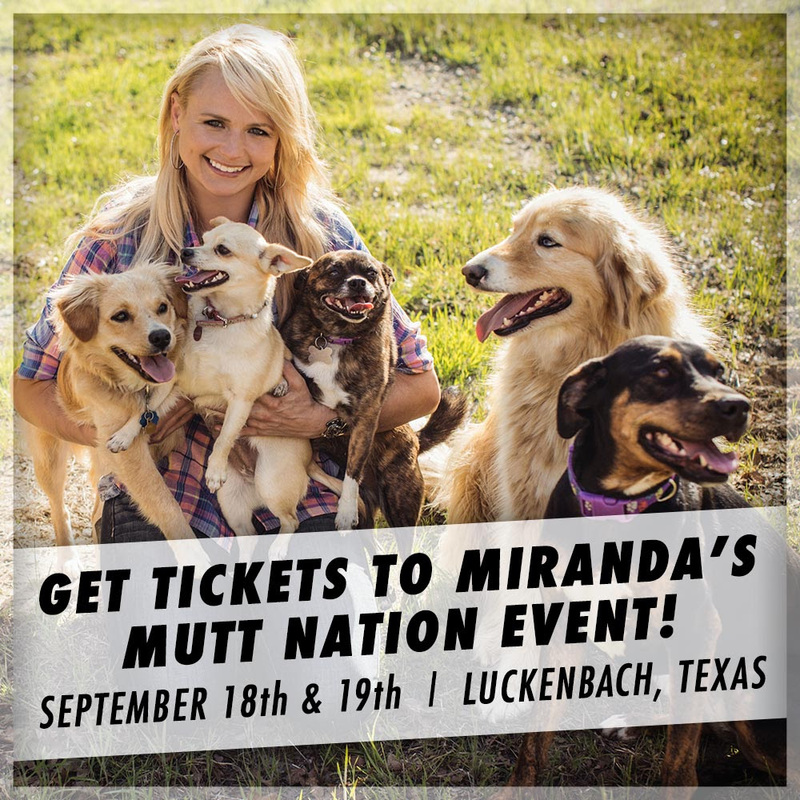 Miranda will be joined for her debut appearance in Luckenbach by Jessi Alexander, Jon Randall, Radney Foster and Gwen Sebastian from The Voice. MNFCo-Founder Bev Lambert has been busy putting together the final touches on the special 2 day event in their home state of Texas. To purchase tickets for Cause for the Paws or donate to the cause, click HERE.